Rare piece of Hannemann. Never works this way. 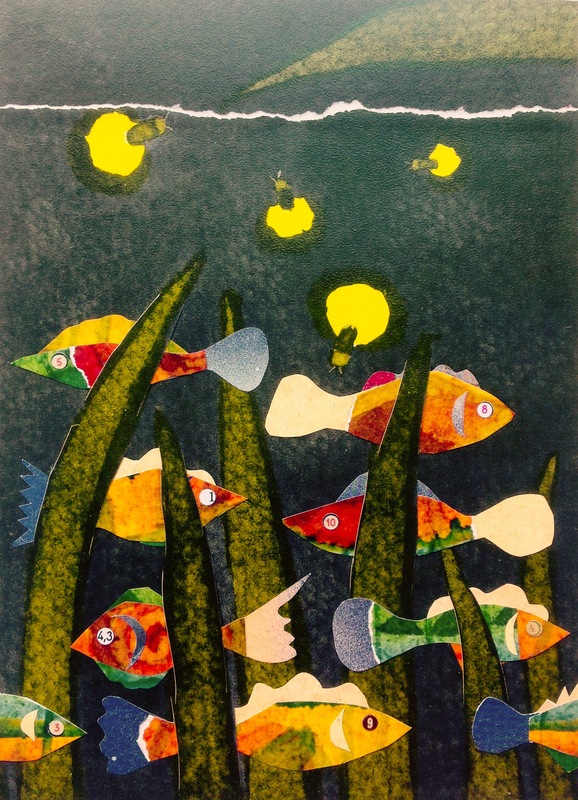 The Fishes are made one bij one, the underground is cut and the fishes are stucked through and glued to the paper. 19x27cm-8x11inch. First collage made in the new studio in Hazerswoude.